Hambone is a sweet, loving, and playfull pitbull that is good with kids and would make a great family pet. Hambone is available for adoption from Sammies Friends. 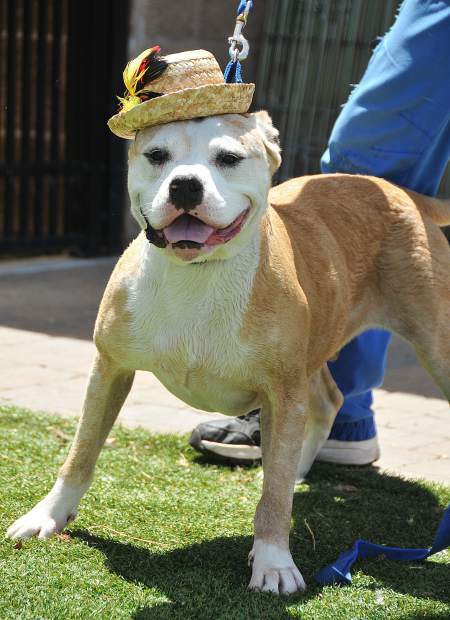 Hambone is a 5-year-old neutered male pit bull that is sweet, loving, is good with children and loves to play ball. Hambone knows some tricks, including shake, rollover and speak, but is not good with cats. Hambone would love to find his forever family. To adopt Hambone, contact Sammie’s Friends Animal Shelter at 14647 McCourtney Road in Grass Valley, 530-471-5041 or http://www.sammiesfriends.org.